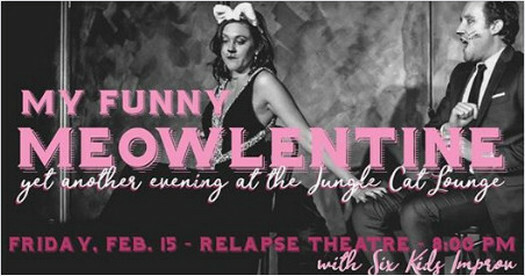 Eternal Slumber Party presents a Valentine's themed edition of their Jungle Cat Lounge sketch show, set in the Jazz era where cats perform musical and dance numbers in a feline-only cabaret. 6 Kids Improv brings their unique brand of improv comedy as the opening act. Get Shorty features comedy shorts by Atlanta's own content creators.